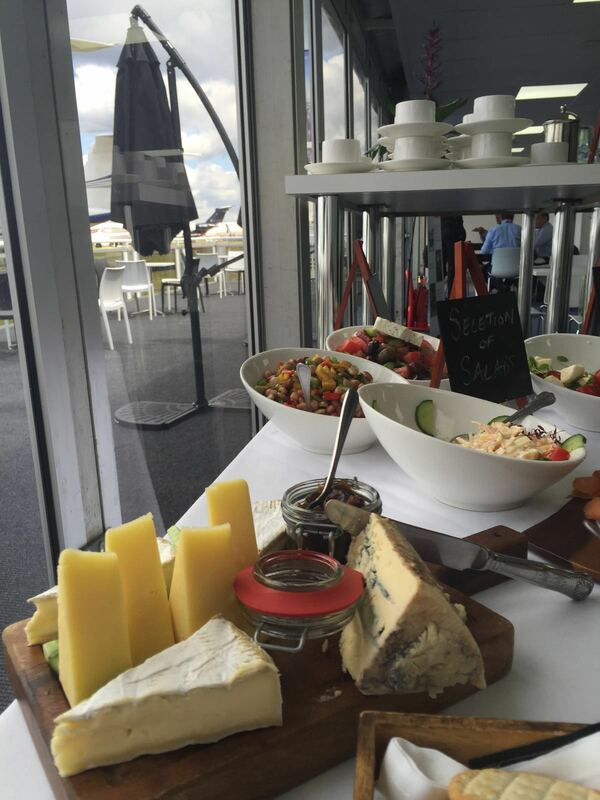 Recently, we were invited to take a trip into the stratosphere and cater for a General Dynamics air show, serving breakfast, lunch, tea, coffee, cakes and biscuits throughout the day. 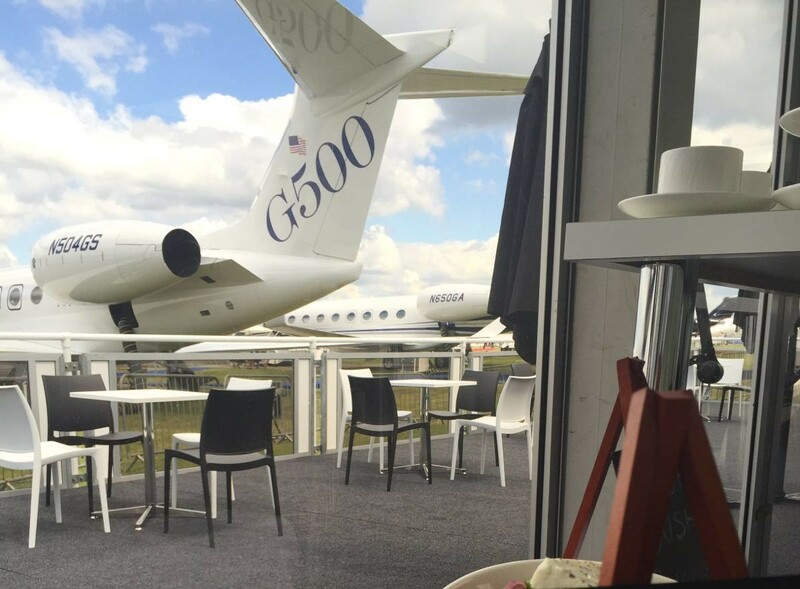 During the week, the hugely popular Farnborough International Air Show took place, where it isn’t unusual to see jumbo jets and aeroplanes zoom past your window. 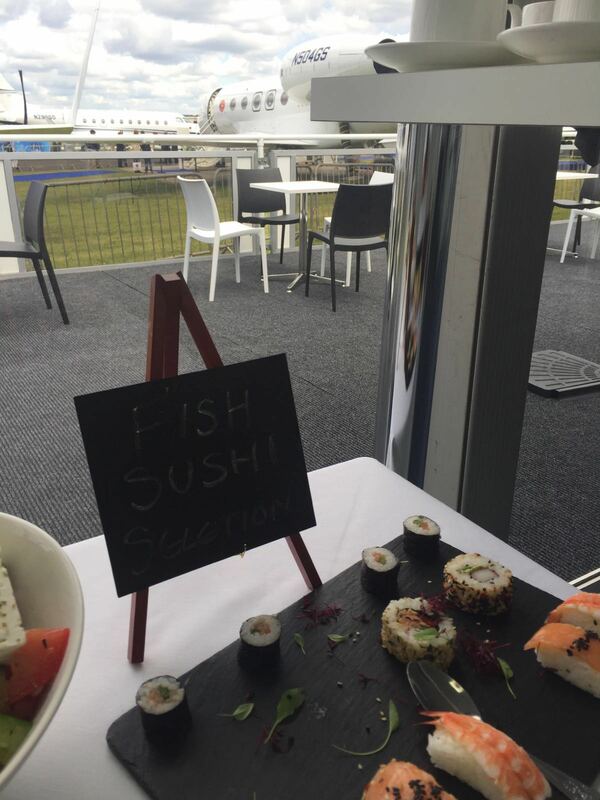 We hopped in our Spiros vans and took Cardiff corporate dining on to the runway! 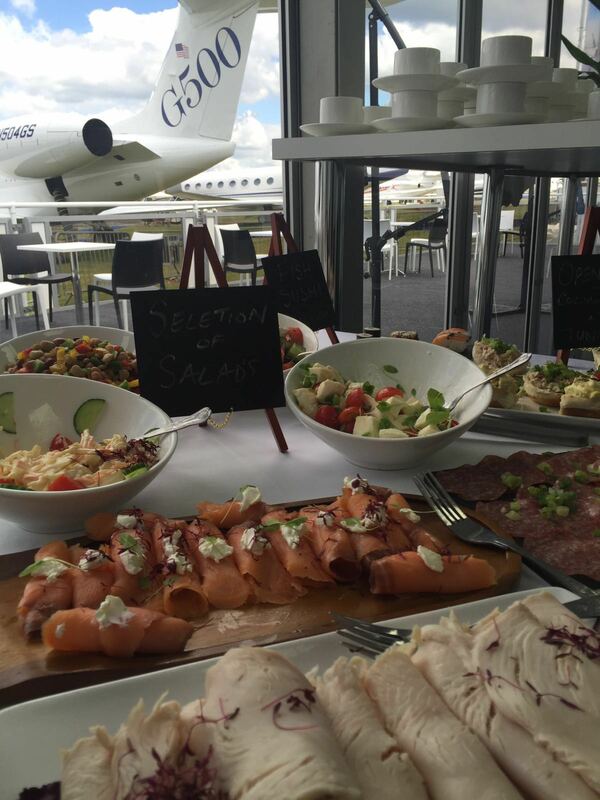 To keep pilots and the public well fed, we served a continental style breakfast, cold cuts of meats with salads, sushi, a finger buffet, and a selection of cakes & Danish pastries. 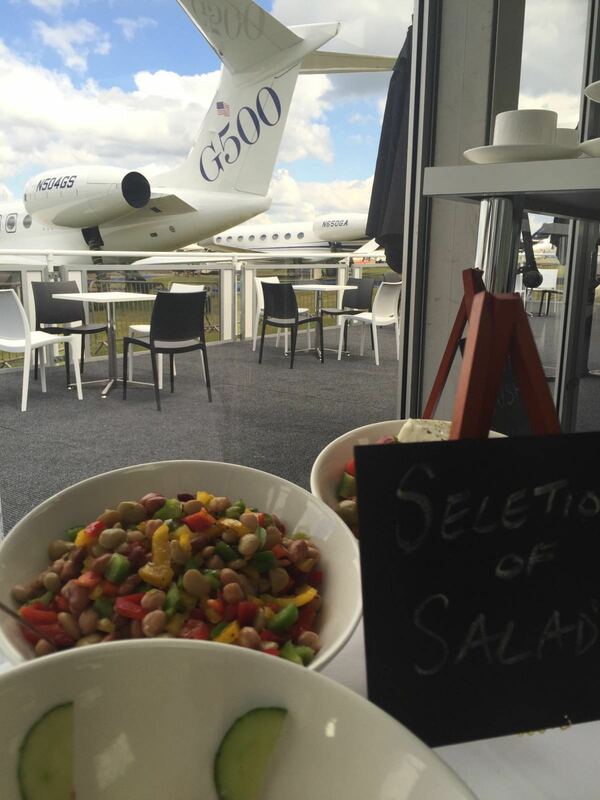 We deliver fine dining to everyone, no matter the altitude! 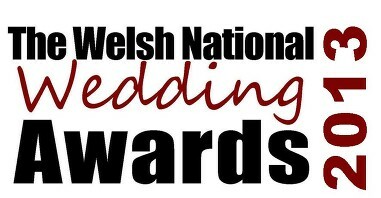 We specialise in weddings, corporate dining and more. 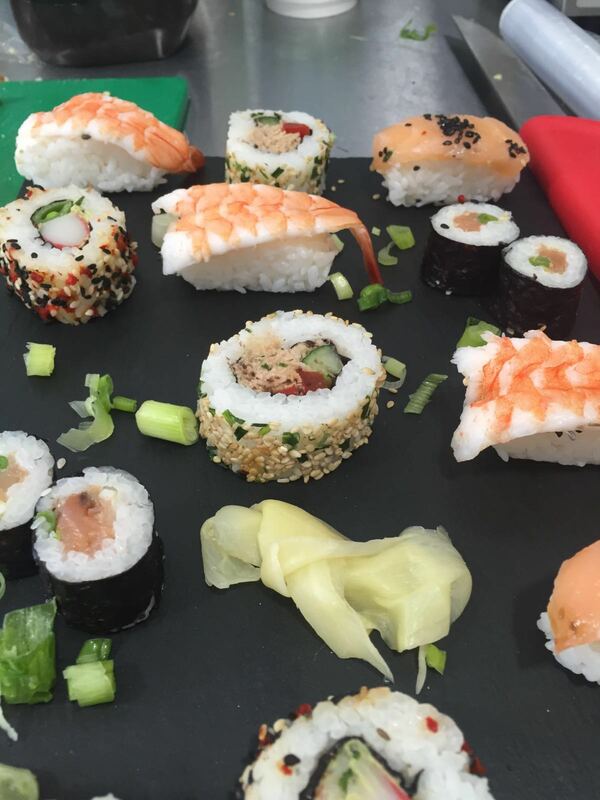 To find out how we can cater for your next event, get in touch. 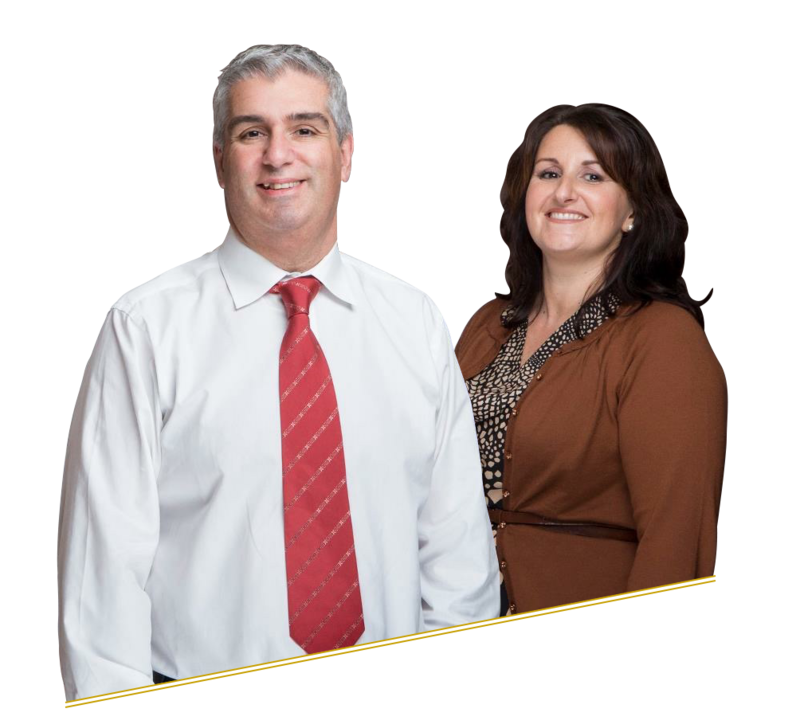 For the tastiest Spiros news straight to your inbox, sign up to our newsletter. 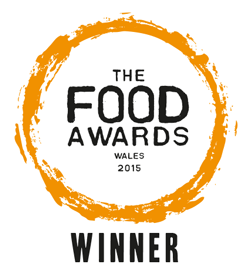 ← Take part in our #GuessTheFood competition!